When you consider using my service and representation in buying or selling real estate, you will be putting an active, full time Baton Rouge, LA Realtor to work for your best interest. My office is well staffed with full time help and we employ only the latest in technology, but I believe experience is my best ally. For 25 years I've successfully served my clients through changing trends and changing markets. 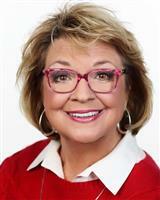 As a yearly multimillion-dollar producer and residential / relocation specialist, my years of experience in the real estate business lends the stability people prefer in a Realtor. With a background in psychology and a love of people, as well as being a "people person", my idea has always been to approach the needs of clients genuinely, and not as just another deal. My motto has always been,"Excellent Service is My Commitment", and it is truly the manner in which I conduct my business. I work hard to go the extra mile for my buyers and sellers and often they also become my friends. From the very begining of my career, my mission statement has been "To treat every person and sale in an individual manner". Over the years this mission became more and more the point, for with experience I learned that truely no two buyers, sellers, or home transfers are ever exactly alike. I formulate a strategy of buying or selling that fits the needs of the individual, their family, and their situation. In short, there is no "cookie cutter" mode of operation. Much of my business is from repeat clients and those who refer their friends and family to me. It has been my professional privaledge to be many people's real estate agent in Baton Rouge, LA for Life. 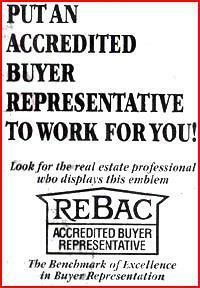 Licensed in 1985, a Broker since 1987, I owned my own company and then merged with the RE/MAX system in 1993. Each year has been more productive than the one before, and it has been my fortune to have received one of the coveted RE/MAX production awards each year with the franchise - Executive, 100%, and Top 100 Clubs. However, my fondest honor was being given the Most Cooperative Spirit Award by my peers in 1998. Named in "The National Who's Who of Outstanding Young Women of Amercia"